Prabodhana is the name given to the Pallottine Theologate at Mysore and it means "to impart Divine Teaching." The institute was commissioned on June 29, 2004. The Theology Course offers a four year Theology programme in accordance with the ecclesiastical laws and conventions of priestly formation, the Formation Programme of the Society of Catholic Apostolate (SAC), as well as the directives of the Conference of Major Superiors of the Pallottines in India. This institution was born out of the concern to offer a theological formation that is at the service of Church renewal and mission, in keeping with the original inspiration of St. Vincent Pallotti and in conformity with the fresh insights of the Second Vatican Council. Pallotti dreamt of a Church where every member is co-responsible for the life and mission of the Church. For this reason in all its academic and extra-curricular activities, the institute will try to inculcate those ideals and values required for the establishment of a Church, enormously enriched by the active participation and collaboration of the laity. The emphasis during the period of theological formation would be to enable the students to constantly clarify their own faith for themselves, integrate it with their lives and articulate that faith, derived from the Sacred Scriptures, Tradition, and the Magisterium of the Church, in the context of the realities of the society in which they live and work. The students would be made familiar with the doctrines of the Magisterium of the Church and different theologies and be enlightened to perceive and maintain the difference between the two. Since theology enriches itself as it draws on the customs, traditions and wisdom of the local community the actual religious, social, economic, political, cultural, and historical conditions of the community also form a locus theologicus understood in a broad sense. Therefore, during the period of theological formation, opportunities would be given to the students for guided exposure, reflection and action. Spiritual formation during the period of theology will lay focus on helping the students to grow to be persons who enjoy true freedom and maturity of spirit, free from undue personal anxieties and ambitionsas well as from group pressures, and to be persons who are truly disposed to seek the will of God in the promptings of grace, in the direction of superiors, as well as in the demands of the apostolic ministry and the struggles and aspirations of the people of our land. The joy of inward freedom should take the students toward approximating to themselves the values of the Kingdom of God, like poverty and simplicity. Adequate freedom and space would be allowed in their lives during this stage of formation so that the students would learn to think for themselves, make free decisions and learn to exercise responsibility in the tasks entrusted to them. All opportunities would be given to the students so that they may develop leadership qualities of initiative, drive, organizing ability, and the capacity to inspire confidence in others and bring out the best in them. All of formation aims at orienting the students to become Christ-like Pastors who would cause life to flow abundantly, wherever they work. This implies that the students would apply themselves to acquiring the knowledge acid skills indispensable to the pastoral ministry. So the courses taught in Prabodhana would have a pastoral dimension so that the students are convinced that the knowledge given to them would be useful and applicable to concrete situations. For this purpose the teachers would constantly seek to relate intellectual concepts to situations and problems that exist in the region, in the country, and in the world as well as to the life of the students themselves. 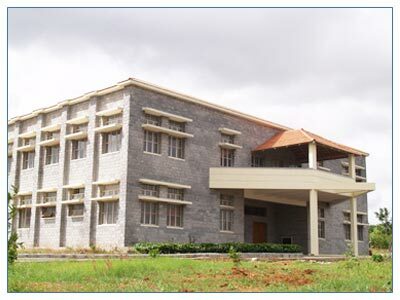 The Institute, consisting of a beautiful chapel built in the South Indian architectural style, a residential block with nearly ninety self- contained living rooms, a spacious academic block which also houses the library, and a large refectory, is built on a sprawling 20 acre campus, most of which has been turned into an evergreen orchard. The library, which presently accounts for 14000 volumes, is in the process of development. The institute subscribes to more than 60 magazines and periodicals, both secular and theological. A well-furnished computer lab, with more than 25 computers will be in place in the near future. Other facilities include a large football/cricket ground, a newly built basketball court and a volleyball ground. Accommodation for about 20 women will be available at the Pallottine Sisters' convent about 200 meters from the Institute. All the three Pallottine entities in India have the same Formation Programme. Those students who join the Pallottine Community after they complete their 10th Standard take a period thirteen years to complete their priestly formation. Those join who join after 12th standard will take 12 years, while those who join after graduation will take a period of 9 years. There five stages in the Formation Programme: Vocation Orientation Course (VOC), Period of Preparatory Formation, Graduation, Philosophy and Theology. In Goa we have an Apostolic School, where students from 8th, 9th and 10th standards are accepted as candidates for the Province, after completing which they will join the Vocation Orientation Course. The Vocation Orientation Course is for a period of three years, of which the first year is for learning English language and equipping themselves in Pallottine way of living in a community. During the other two years the students do their Plus Two. These three years are spent in one of the three Vocation Orientation Centres we have in our Province:, Chicalim, Madurai and Vijayawada. The second stage is the Period of Preparatory Formation. It is for a period of two years. 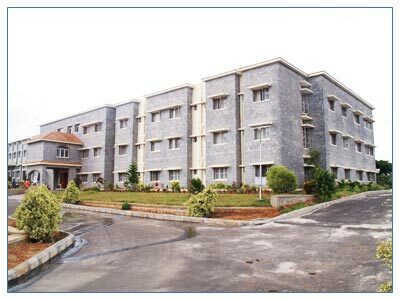 The first, canonical year is spent at Pallotti Nilaya, Bangalore, while the second year is along with graduation. Having completed the first year Preparatory Formation, the students go to Anbagam Chennai, for their graduation, which is for a period of three years. 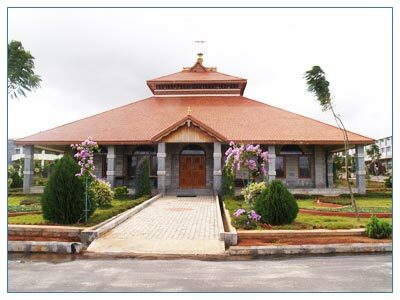 After completing graduation the students go to Pradeepa, Assagao, Goa, for their two years of philosophical studies. Those students who have a Bachelor degree will also do their Masters in Philosophy at the University of Dharwar. When they complete the two years of Philosophy they will go to Prabodhana, Mysore, Karnataka, for their four years of theological studies. As they complete their studies in theology the students are ordained priest. Thus the Province has a systematic Formation Programme for our students.